Caroline is a trusted consultant, facilitator, and coach. She has over 15 years of advising and operational experience, including 12 years at McKinsey & Company. Over the course of her career, she has helped dozens of Fortune 500, nonprofit, scale-up and start-up organizations innovate and grow. Her experience as a senior leader at a non-profit business incubator gives her the real-world experience to drive impact in a collaborative way with limited resources. 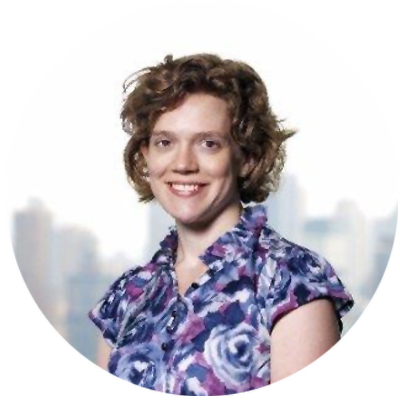 As a senior consultant with the telos institute, Caroline focuses on strategy, market research, coaching, and other tools that drive growth and sustainability. Caroline believes that growth comes from asking good questions, gathering data, and reflecting. A coach with outside perspective can’t tell someone how and when to grow, and they certainly can’t do it for a client. But through conversation, analysis, experience and feedback, a successful coach can help a client find their footing. A coach can give a client data and the tools to successfully pursue their own growth journey. Caroline holds a B.S. in Economics from the Wharton School at the University of Pennsylvania and an M.B.A. from the Weatherhead School of Management at Case Western Reserve University and is Vice President of the board of The Fine Arts Association. Today, she lives with her husband, three kids, and their dog outside of Cleveland, Ohio, and enjoys the piano, pilates, and gardening.